In Georgia there are 3 kinds of taxes than can be paid at closing. The first one is the property taxes. These can be city, county of both, depending on where the property is located. For a transaction closing February 3 where the tax bill does not come out until September, the seller would pay the buyer for her share of the taxes from January 1 to February 3. This is called tax proration. When the tax bill comes out later in the year, the buyer is responsible for paying the full amount, since the seller already paid the prorated amount to the buyer. The second type of tax paid at closing is the transfer tax. It is assessed at $1 per $1,000 of the value of the property being conveyed. For example, if you are selling a house for $225,000, you will pay $225. This tax is typically paid by the seller. The third kind of tax assessed at closing is the intangible tax. This tax is assessed on the amount financed, if the loan is a long-term note. 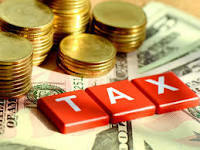 The intangible tax rate is $1.50 for each $500, or fraction thereof, of the loan amount. So, if the loan being secured for the purchase of a house is for $185,000, the calculation would look like this: 185,000/500=370×1.50=$555 Because this tax is levied against the loan, it is usually paid by the buyer who is securing the loan. I have mentioned who typically pays which tax at closing. However, everything in a transaction is negotiable. A seller, for instance, can pay the intangible tax for the buyer as part of closing costs he may be paying for the buyer, if it is agreed upon in the contract. It just has to be added to the contract before the contract is fully executed (signed by both parties). Any of these taxes can be paid by either buyer or seller, it just need to be in the contract from the very beginning of the transaction.